Extraordinary amounts of data go into evaluation an NFL prospect. The NFL combine, pro days, college statistics, game tape breakdown, and even personality tests can all play a role in predicting a player’s future in the NFL. Jadeveon Clowney is arguably the most discussed prospect in the 2014 NFL draft, not named Johnny Manziel. He is certainly an elite prospect and potentially the best in this year’s draft, but he doesn’t appear to be a “once-in-a-decade” type of physical specimen based exclusively on historical combine performances. From the research I’ve done, only Mario Williams and JJ Watt can make such a claim. Super-talents like Clowney have traditionally been gambled on in the NFL draft with little idea of what future production is actually statistically anticipated. All prospects have a “ceiling” and a “floor” which represent the maximum and lowest potential that a prospect could realize respectively. But what does this “potential” mean and does it hold any importance for actually predicting a prospect’s success in the NFL? In this article I will show how Quantile Regression, a technique used by quantitative ecologists, can clarify what Clowney’s proverbial “ceiling” and “floor” may be in the NFL. Athletes are a collection of numerous measured and unmeasured descriptor variables. Figure 1 shows a single predictor (40 yard dash time) vs a prospects’ Career NFL sacks + tackles for loss (TFL) per game. Was the next Virgil Carter drafted yesterday? Penn State Guard John Urschel was taken with a compensatory pick in the 5th round by Baltimore. John stands out because he has an unusual plan for his time after his playing days are over. He says he's very interested in "sports analytics. Data analysis for football." If he does, he'll analyze circles around the rest of us. While playing for PSU, John earned his degree in Math in just three years. Then added a masters degree in math, and is currently working on a second masters in math education. He's published research with names like Instabilities of the Sun-Jupiter-Asteroid Three Body Problem, A Space-Time Multigrid Method for the Numerical Valuation of Barrier Options, and Spectral Bisection of Graphs and Connectedness in which he proved the Urschel-Zikatanov Generalized Bisection Theorem. Man, I wish I had a theorem named after me. To us, his most interesting research might be this article he wrote for ESPN The Magazine. 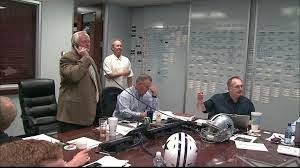 He looked at "1) how best to predict a lineman's draft position, 2) that prospect's success in terms of NFL starts, and 3) whether a fringe prospect will be selected." Sounds like it would have made a good guest post here. The Bayesian Draft Model estimated the most likely time Urshel would be taken was pick 167, not very far off from his actual selection at 175. The chance he would be available at 175 was 43% according to the numbers. So almost spot on. Interestingly, Urshel's own selection may have been the result of some sharp analytics. Baltimore is known to have "a proprietary formula—a “special sauce,” assistant GM Eric DeCosta calls it—that factors in potential compensatory picks to the free agency cost-benefit analysis." 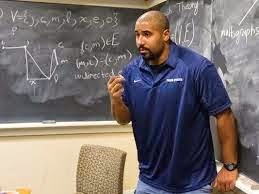 Urschel would make a killer impact on the world of football analytics if he chose. However successful his pro career turns out, he'll carry the credibility of a pro-caliber player. Coaches will take what he has to say much more seriously than what an ex-Navy pilot writes on a website. So, congratulations, John! I'll be rooting for you on the field and off. Play like a Raven! With the Bayesian draft tool completed, I can now focus on completing Project WOPR. 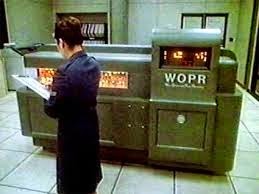 For those who might be fans of mid-80s Matthew Broderick movies, you may have figured out what the WOPR is. It's purpose to answer the un-answerable questions of football strategy. But for now, it's taking up my entire basement and has driven my electricity bill through the roof. The liquid-nitrogen cooled 32-core processors aren't cheap either. I'll be updating the Bayesian draft model live tonight. I was triple-booked for this evening, and I thought I wouldn't be able to make it happen. 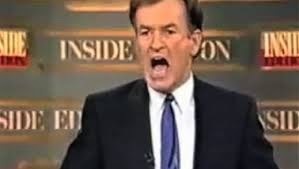 But now I'm only double-booked, so in the immortal words of Bill O'Reilly, "F--- IT. WE'LL DO IT LIVE!" As players are chosen, the probabilities will obviously start changing rapidly. The fact a player is off the board and no one else could fill that slot is information (with absolute certainty) that can be fed back through the model. The effects will cascade through the rest of the available picks. Unfortunately, the interface won't update automatically for users. You'll need to click refresh or hit F5 after each pick. There will be at least two or three minutes of lag for the updates to work through the system, so be patient. In my last job I worked with a team of software developers. The interfaces they designed didn't make much sense to me. The interfaces were always, at heart, a giant expanding tree of classes, objects, and properties. Huh? Lots of tiny plus and minus marks everywhere to expand and contract the accordion. Left click to view something. Right click to modify it. 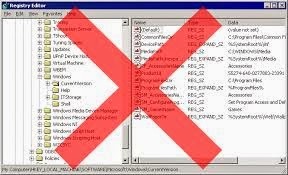 If you ever had to deal with the Windows registry, it was like that. Steve Jobs would not have been thrilled. When I learned a little about object oriented programming, it all made sense. The software engineers were designing the interface for their own convenience, not for ease of use. It made sense from an efficiency standpoint...a programming efficiency standpoint. But from the perspective of the user, it wasn't so efficient. The least used feature was just as accessible as the most common feature, and all of them were hidden until you expanded the right portion of the tree. Yesterday I realized I was doing the same thing with the draft model. From my point of view, it's easiest to think in terms of players and their probability to be selected at each pick number, because that's how the software that runs the model works. 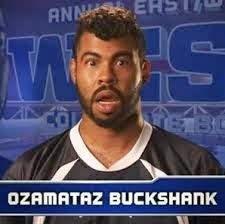 It goes down the list of prospects, player-by-player, looking at the probability he'll be selected pick#-by-pick#. Cade Massey, Professor of the Practice at the Wharton School of Business, joins the show to discuss his research on the NFL draft. Professor Massey is the co-author of "The Loser's Curse: Decision Making & Market Efficiency in the National Football League Draft", a paper analyzing the market for draft pick trades. He and his co-author, Richard Thaler, discovered that teams picking at the top of the draft actually sacrifice a great deal of what he calls "surplus value" by not trading down for additional selections. Dave and Cade look at the reasons why teams employ less than optimal strategies, including risk aversion, adherence to norms established by "The Chart" and other psychological factors. Professor Massey defends his paper against critiques, and discusses why he believes the draft is such a compelling spectator event. This tool is intended to help decision-makers better assess the NFL draft market. Specifically, it estimates the probability each prospect will be available at each pick number. The estimates are based on a Bayesian inference model based on consensus player rankings and projections from individual experts with a history of accuracy. If you want to jump straight to the results, here they are. But I recommend reading a little further for a brief description of what you'll find. The interface consists of a list of prospects and two primary charts. Selecting a prospect displays the probabilities of when he'll likely be taken. You can filter the selection list by overall ranking or position. 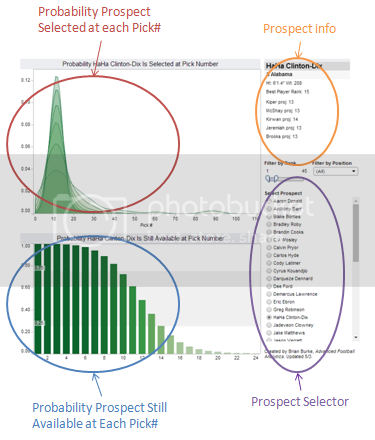 The top chart plots the probabilities the selected prospect will be taken at each pick #. I think this chart is pretty cool because it illustrates the Bayesian inference process. You can actually see the model 'learn' as it refines its estimates with the addition of each new projection. Where there is a firm consensus among experts, the probability distribution is tall and narrow, indicating high confidence. When there is disagreement, the distribution is low and wide, indicating low confidence. The lower chart is the bottom line. It's the take-away. It depicts the cumulative probability that the selected prospect will remain available at each pick #. For example, currently there's an 82% chance safety HaHa Clinton-Nix is available at the #8 pick but only a 26% chance he's available at #14. A team with an eye on a specific player could use this information in deciding whether to trade up or down, and in understanding how far they'd need to trade. Hovering your cursor over one of the bars on the chart provides some additional context, including which team has that pick and that team's primary needs (according to nfl.com). The box in the upper right gives you the player's vitals - school, position, height, weight. The expert projections used as inputs to the model are also listed. 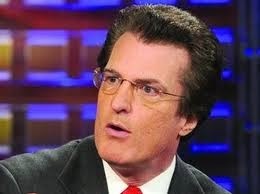 Currently those include Kiper (ESPN), McShay (Scouts, Inc.), Pat Kirwan(CBS Sports), Daniel Jeremiah (former team scout, NFL Network), and Bucky Brooks (NFL Network). Experts were selected for their reputation, historical accuracy, and independence--that is, they don't all parrot the same projections. Not every prospect has a projection from each expert. The new Bayesian draft model is nearly ready for prime time. Before I launch the full tool publicly, I need to finish describing how it works. Previously, I described its purpose and general approach. And my most recent post described the theoretical underpinnings of Bayesian inference as applied to draft projections. This post will provide more detail on the model's empirical basis. To review, the purpose of the model is to provide support for decisions. Teams considering trades need the best estimates possible about the likelihood of specific player availability at each pick number. Knowing player availability also plays an important role in deciding which positions to focus on in each round. Plus, it's fun for fans who follow the draft to see which prospects will likely be available to their teams. Hopefully, this tool sits at the intersection of Things helpful to teams and Things interesting to fans. Since I went over the math in the previous post, I'll dig right into how the probability distributions that comprise the 'priors' and 'likelihoods' were derived. I collected three sets of data from the last four drafts--best player rankings, expert draft projections (mock drafts), and actual draft selections. In a nutshell, to produce the prior distribution, I compared how close each player's consensus 'best-player' ranking was to his actual selection. And to produce the likelihood distributions I compared how close each player's actual selection was to the experts' mock projections. I recently introduced a model for estimating the probabilities of when prospects will be taken in the draft. This post will provide an overview of the principles that underpin it. A future post will go over some of the deeper details of how the inputs for the model were derived. First, some terminology. P(A) means the "probability of event A," as in the probability it rains in Seattle tomorrow. Event A is 'it rains in Seattle tomorrow'. Likewise, we can define P(B) as the probability that it rains in Seattle today. P(A|B) means "the probability of event A given event B occurs," as in the probability that it rains in Seattle tomorrow given that it rained there today. This is known as a conditional probability. The probability it rains in Seattle today and tomorrow can be calculated by P(A|B) * P(B), which should be fairly intuitive. I hope I haven't lost anyone. It's also intuitive that "raining in Seattle today and tomorrow" is equivalent to "raining in Seattle tomorrow and today." There's no difference at all between those two things, and so there's no difference in their probabilities.